All THE OAKS AT DEER VAL homes currently listed for sale in Park City as of 04/19/2019 are shown below. You can change the search criteria at any time by pressing the 'Change Search' button below. "This is the stunning 8500+ stone and timber Oaks residence everyone asks about! Located on a gently sloping 1.2 Acre Lot, abutting forever open space and affording heart-stopping ski slope views, this warm and embracing home cannot be duplicated. Thoughtfully and meticulously designed and built with hearth and home intentions, the floor plan invites family and friends. The main level features a true great room with those amazing views, work-from-home (more views!) office, and open chef's kitchen/dining/fireside hearth room with still more vistas. The private upstairs master retreat is both elegant and inviting, with, YES, those views! Family and guests gather on lower level with 5 bedrooms, family/game/bar/fitness rooms, and walk-out to huge flat (!) yard and hot tub. Everyone has a view. A private second stairway takes one to a secluded whatever you want separate apartment. Included are, of course, all the structural and finish amenities you'd expect. " "Imagine your dream home with potential income and no work needed to move-in tomorrow. 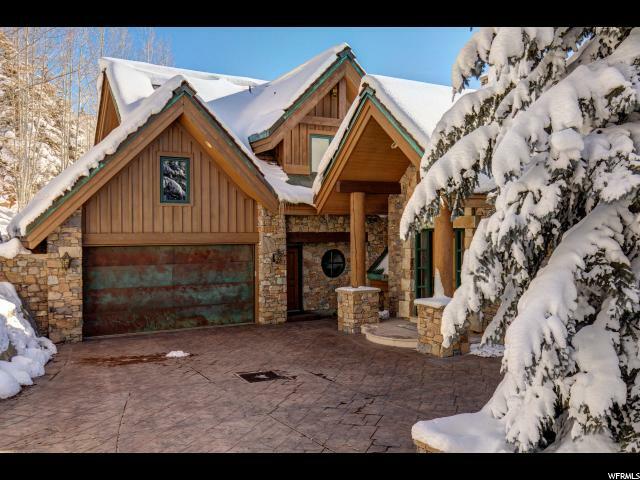 This immaculate home in the Oaks at Deer Valley sets the stage for the higher standard of Park City living. Completed with upgrades to meet the tastes of a mountain-contemporary lover, the fixtures and customized spaces are sure to impress. The soaring ceilings which open the common space and allow views of Deer Valley Resort ski runs are complimented internally with dramatic lighting and rustic wooded beams. An impressive master suite with amenities such as: fireplace, balcony, separate shower, jetted tub, and walk-in closet. No guest intrusions with each bedroom having their own Water Closet. The large chef's kitchen has an island, upgraded appliances, and ample preparation space. The amenities of the subdivision include: a clubhouse, pool, and tennis courts with HOA dues. Experience European architecture in the backyard of bright, sunny Deer Valley. Come this Winter to experience the greatest snow on Earth in our 6,900-foot elevation mountain town. "